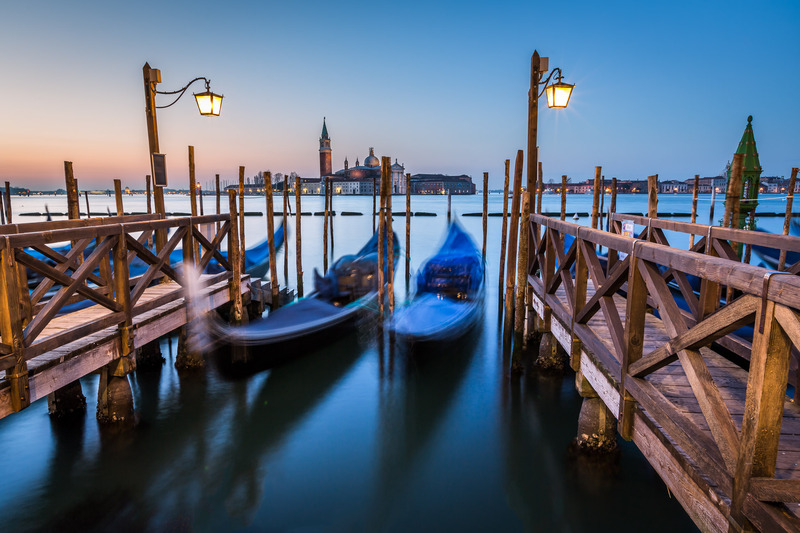 One of the iconic landmarks in Venice is the San Giorgio Maggiore Church. You may not be able to tell by this photograph, but this church sits on an island. March 2014, single image, additional exposures for highlights, focal length 23mm, aperture f/11, shutter speed 7.5 seconds, ISO 100, tripod. What is interesting is despite the fact it is one of the architectural marvels of Venice, few bother with the trip to the island to visit the church. Rather it is all about capturing the exterior of the church often from the angle you see before you with the Grand Canal and Gondolas in foreground. Like many scenes in Venice, this one has been captured over and over again by thousands of photographers. Today was no exception. When I captured these photos I met fellow photographers with heavy tripods photographing from the almost the same positions. During my entire trip to Venice it would always be like this, I’d be taking photos along with other photographers around me.